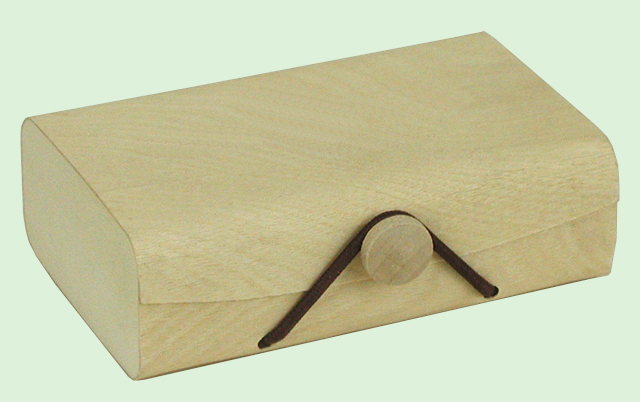 This box is made of birch veneer and balsa wood. It measures 4.25" wide, 2.625" deep, 1.375" high on the outside. This box holds two truffles, stack of business cards, most soaps. Logo can be printed on by special order.